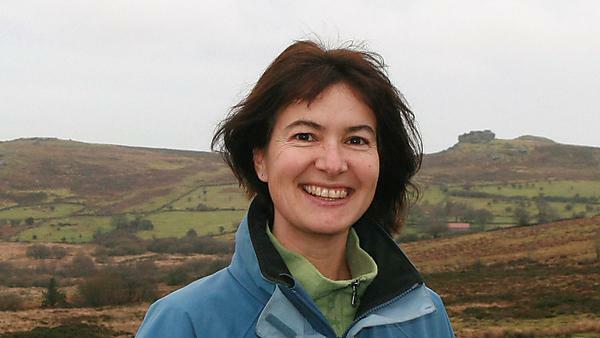 Jenny Plackett topped-up her foundation degree at Plymouth University and now works as a Senior Regional Officer for the Butterfly Conservation. My first job was a short term contract working with my research supervisor, Dr Paul Lunt, at the University, helping to design course materials for a new GIS module for the environmental science course. This was brilliant experience for my next role, at Teignbridge District Council, as a part time officer in their countryside team. I also did part time self-employed contract work at Natural England, the Woodland Trust, and Dartmoor NPA, before starting work with Butterfly Conservation in 2009. I’m sure my Plymouth University research project on butterflies and climate change helped me to get this job. Part of my role involves advising farmers and landowners on managing their land to help restore habitats for butterflies and other wildlife. Many farmers are pleased and proud to have rare and declining butterflies on their land and happy to do the management that is needed to maintain suitable conditions. But some need more effort, and I enjoy the challenge of helping them to see the value of wildlife and to appreciate it more. Some farmers who were initially hostile have now incorporated wildlife-friendly management on their land and are active butterfly surveyors. The best bit of my job is in the summertime, when I go out to some of the most stunning areas of Dartmoor and Exmoor to survey some of our rarest butterflies – and seeing the numbers increasing over the years following the management work that has been put in place is really rewarding. Go for it. It’s a difficult career to get into as there is an expectation that you will do a year or two of voluntary work. But that is really worthwhile because the connections you make during that time may well help you to find paid work, and once that is under your belt, the world is literally your oyster. My course was initially a foundation degree at Duchy College in rural environmental management, and then a ‘top-up’ year at Plymouth to turn it into a BSc Environmental Science. The two courses complemented each other really well, providing me with a really good all-round understanding of the theory and practice of wildlife conservation as well as a good grounding in the basics of botany, climate change, agricultural systems, and lots of other subjects which have all been really useful in my work. Yes, occasionally I meet up with a good university mate on work-related stuff. And the other day I bumped into my old research supervisor, Dr Paul Lunt, who was setting up a research project in woodland where I was offering habitat management advice for butterflies. For more information about studying environmental science, visit our BSc (Hons) Environmental Science course page. For more information about our range of courses within the School of Geography, Earth and Environmental Sciences, please visit the school page.